Three UK customers will no longer be able to do their shopping at Carphone Warehouse, after the network decided to cut ties with the high street retailer. From earlier December, the UK's smallest major mobile network will no longer sell devices, service plans or upgrades through Carphone's website or brick and mortar stores. Instead, those wishing to sign up or extend their relationship with Three will need to do so through its own 348 stores and online portals, or from other smaller independent retailers. The decision to ditch CPW follows the curtailing of Three's relationship with Phones 4U last year. Both decisions are believed to be attributed to the extra costs of selling through third-party retailers. A Carphone Warehouse spokesperson informed TechRadar: "From early December we will no longer be selling or upgrading Three propositions through our channels. This will not impact our commitment to provide customers with choice and value: no one else offers customers a wider range of networks and tariffs." The Times (subscription) reports that Carphone has already shrugged off Three's decision, with an internal memo calling it "a very small part of the business." It is focused on relationships with "major networks," it reportedly said. Going forward, it will be very interesting to see whether Three's bottom line is affected now users no longer have the option of signing up for tariffs and SIMs at either of the UK's major independent retailers. 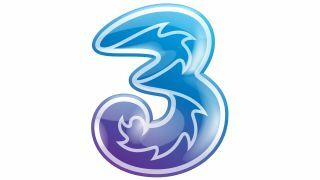 Quite often Three's contracts stack up very well against the likes of O2, Vodafone and EE, especially in the unlimited data department. It seems the other major players will be happy to see Three depart from those arenas given the network's plans to offer 4G LTE data plans at no extra cost.